The impact of sepsis on patient care cannot be overstated. It is the costliest condition billed to Medicare, the second costliest billed to Medicaid and the uninsured, and the fourth costliest billed to private insurance, with an aggregated expense in excess of $20 billion (Torio & Moore, 2016). The problem is so critical that the Centers for Medicare & Medicaid Services (CMS) has developed a core measure to publicly track and report as a bundle (called SEP-1) in 2016, meaning it could be one of the 12 chosen by CMS to be measured regarding value-based payments (Center for Medicare, 2015). While it is impossible to eradicate sepsis mortality, health systems that make an effort have been able to drastically reduce it (Allen, 2013). But the window for early identification, notification, and treatment is short, and the opportunity to make a life-saving difference depends on the first few hours of the patient’s care. In late 2014, Dignity Health, the fifth largest health system in the nation and largest hospital provider in California, and SAS, the world’s largest privately held software company, began to develop a sepsis bio-surveillance program to provide a monitoring and reporting application. Through automated alerts, the application notifies nurses and providers to quickly identify and deliver life-saving protocols for patients who are in decline or showing symptoms of potential infection. The objectives—reduce mortality rates and length of stay in the ICU—lead to significant cost savings, and the program improves response times by using a statistical early detection algorithm. The initial goal of the study was to confirm the validity of the statistical algorithm. Dignity Health performed a preliminary evaluation of a small patient population to verify the algorithm’s output and the alerts generated to communicate with the nurse and provider teams. To do this, Dignity Health enabled the program in “silent mode” for three months, correlating alert activity with discharge diagnosis, and compiling alert statistics to review with stakeholder groups to generate confidence and commitment. 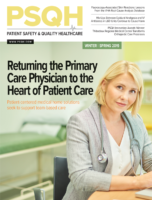 In addition, the algorithm tracked nurse and provider response times, significantly improving operational efficiencies. When cross-checked and enhanced with a manual chart review, the results spoke for themselves. Table 1 shows an example from one of the pilot facilities based on alerts generated.